Therapy Studio’s Lenny Mesina edits his latest feature film, “MANNY,” which made its official world premiere at the 2014 SXSW Film Festival. The must-see documentary features a one-two combo of Therapy talents sonically and visually, with sound designer Eddie Kim also pitching in on the exciting project. “MANNY” is Lenny’s second film to premiere at SXSW, following up 2008’s “Beautiful Losers,” directed by Aaron Rose. Lenny’s most recent feature, “Beats Rhymes and Life: The Travels of A Tribe Called Quest,” directed by Michael Rapaport, made its premiere at Sundance in 2011. 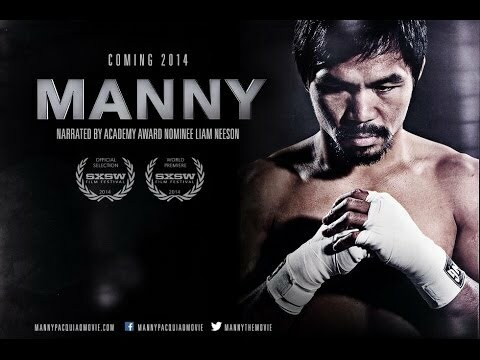 Directed by Ryan Moore and Academy Award Winner Leon Gast, and narrated by Liam Neeson, the film follows the story of ten-time boxing world champion Manny Pacquiao. We chronicle his early beginnings of abject poverty in the Philippines, where he first entered the ring as a penniless sixteen year old looking to earn money to feed his family. Now, almost twenty years later, Manny Pacquio is an international icon and history’s first boxing congressman, who fights for his people both inside and outside of the ring.